As part of the WatchKit resources, which can be freely downloaded by anyone at Apple’s website, the company released the font it uses on Apple Watch, called San Francisco. 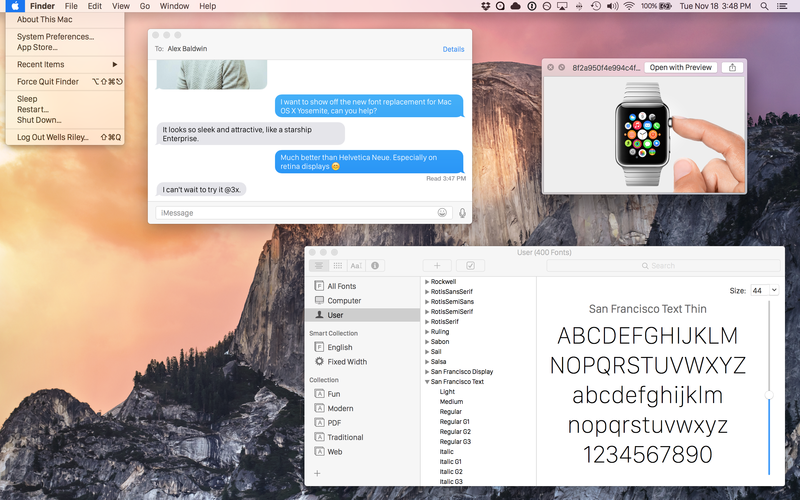 With Yosemite, Apple changed the system font from Lucida Grande to Helvetica, the font used on iOS. This caused some backlash amongst the designer community who detested the change of typeface. The Apple Watch font has been widely praised, leading some people to speculate whether it will become the default on iOS or OS X anytime soon. A user on GitHub has posted instructions on how to try out San Francisco on your Mac today, with some basic changes.